We are engaged in providing a wide range of earth moving bolts that are used in various applications in light moving vehicles and heavy moving vehicles. 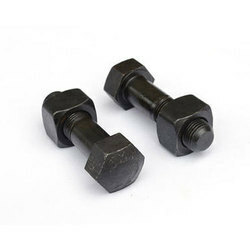 Fabricated using the best grade raw material, these track bolts are available in various dimensions and sizes. These are highly demanded by our customers. These High Track Bolt are made of High Alloy Steel and are Heat-Treated and Induction Hardened to withstand High Abrasion and Stresses. Owing to their High Strength bearing capacity, these High Track Bolt are widely applicable in Earth Moving and Construction Machines. Quantity Per Pack: 150 PCS. 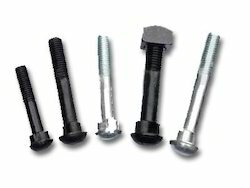 With the aid of our procuring agents we are offering our clients quality-assured Unbrako Track Shoe Bolt and Nut. These nuts and bolts are procured from the certified vendors of the industry. We are offering these nuts and bolts in various sizes and dimensions that make the installation process easy for various purposes. We Rising Auto Exports are one of the leading organizations, engaged in manufacturing and supplying an excellent quality Track Shoe Bolts. We are counted amongst the major traders of Track Shoe Bolts that are designed with accuracy and find application in earth moving and construction machines. Our range of track shoe bolts are fabricated using premium alloy steel and are specifically heat-treated and induction hardened to make them capable enough to stand abrasion and other adverse working conditions.